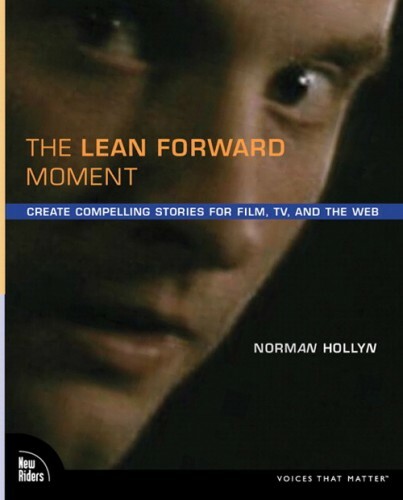 The Lean Forward Moment is a book from Norman Hollyn, who is an Associate Professor at the USC School of Cinematic Arts. At its core, this book is about storytelling; however, it covers this broad topic through the various aspects of the filmmaking process. It’s not a book about which settings to use on your HDSLR or where the keyboard shortcuts are located in Final Cut Pro. Those things are important; however, you can use Google to find a lot of those technical answers. The tougher thing to find online is proven advice and methodology for shooting a compelling story that people want to watch. That’s where Hollyn’s book comes in – and he does a solid job on delivering the goods. Special Exceptions to the Rule? Looking at the chapter list, it seems like the book tries to do too much; however, it doesn’t offer a comprehensive discussion of each of the chapter topics. Instead, it focuses on how the story is shaped in each of these phases of the production process. Hollyn teaches with examples from a variety of films, TV shows, and web series in order to convey the importance and consistence of the storytelling process throughout today’s multi-platform video world. You get breakdowns of The Godfather on one page, followed by some web series you’ve never heard of on the next page. The crazy thing is that a breakdown of camera movements or sound design in Coppola’s The Godfather offers the same relevance to the points highlighted in the breakdown of a web series, or a cartoon. The Lean Forward Moment is gold for those aspiring HDSLR filmmakers out there with no clear direction on how to craft a story and reinforce it throughout the production process. It’s not light reading by any means, but if you are determined to be a filmmaker, it’s a great start to put you on the right track. The Lean Forward Moment retails for $44.99; however, you can currently find it on Amazon for $27.99. There’s also a Kindle version. While I’m at it, if you are looking for a little direction in actually crafting a screenplay, I highly recommend Syd Field’s Screenplay: The Foundations of Screenwriting (also on Kindle).